The Sangoma s300 is a full feature set phone with two Session Initiation Protocol (SIP) accounts and a competitive entry-level price point. 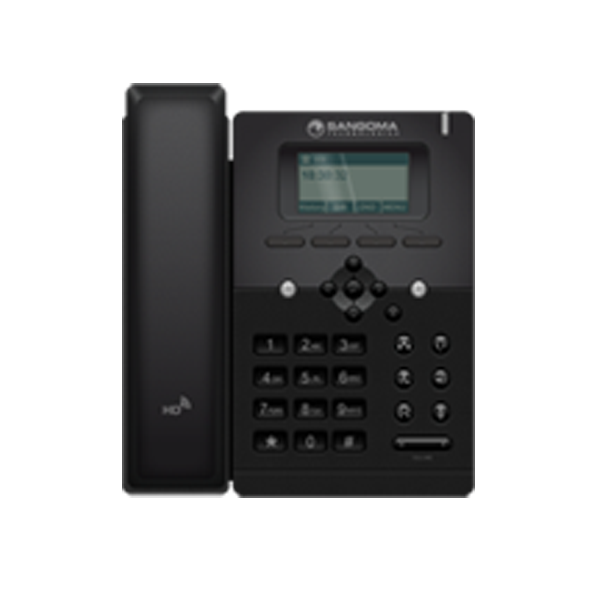 Designed to work with FreePBX, the Sangoma s300 IP phone can automatically locate FreePBX to quickly and easily get full configuration right out of the box – true Zero Touch Configuration. The s300 features industry standard Power over Ethernet, and no power cable or outlets required. It has full duplex speakerphone, dual Ethernet Ports, five-way conference calling, high definition voice quality, and built in Virtual Private Network (VPN) capability.